We have referred to the concept of a wall around our hearts metaphorically for years and the phrase “Once Bitten Twice Shy” carries truth for many of us. We protect ourselves from heartbreak and pain by “switching off” our feelings and in some more severe cases we can live life “comfortably numb”. 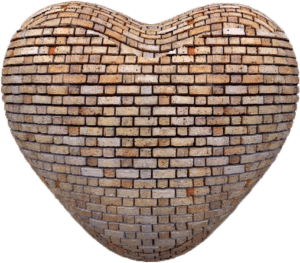 What many people don’t realise is that we can and do literally build a wall of negative energy (trapped emotions) around our hearts to prevent painful, negative emotions from reaching the heart. 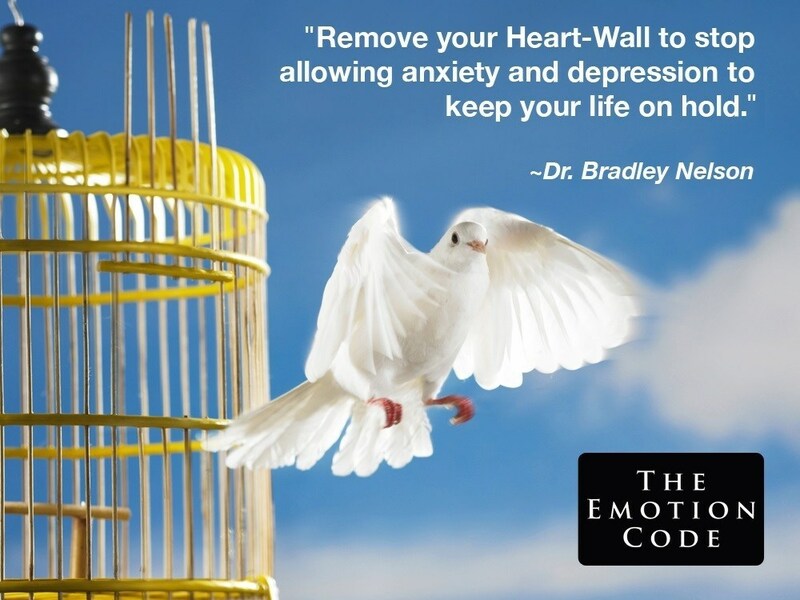 This may seem, initially, a very practical thing to do in some cases but you need to realise – by preventing negative emotions from entering the heart, the wall is also blocking positive emotions from entering and not only that, but the wall works both ways – it also blocks positive emotions from radiating out from the heart. Now we all know that “Like attracts Like” – we may not believe it or understand it but it is a scientific fact that just “happens” so……..
We are all energy (everything is energy – another scientific fact we need to get our heads round!) and all energy vibrates at certain frequencies – stay with me here I promise it’s not too complicated!! Emotions are energy that vibrate too and the more positive the emotion the higher the vibration eg the feeling of love vibrates at a higher frequency than the feelings of shame and guilt for example. Back to the heart and its wall. By releasing the negative energy creating your Heart Wall we can allow positive energy to radiate out from the Heart (naturally occurring Love and Joy for example) which will attract true Love and Joy from others in the form of Mr or Mrs Right (Soulmate) and more positive experiences in general. If you radiate out to the world your “protected” heart with its limited feeling you will attract someone with the same issues (again and again!) thus continuing your negative behavioural pattern in all areas of your life but in particular with your relationships. So now you know why you keep attracting the wrong relationships. Release your Heart Wall (there are a number of Energy Healing modalities to help you) and not only will you break that cycle of wrong partners but you can also feel more love, joy and peace in all areas of your life. I can help you release your Heart Wall and enjoy the freedom and joy that comes with having a truly open heart.